"Permanent, yet transferable, sun protection for helmets." 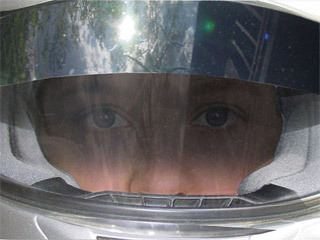 Helmets which have an internal or external "drop down" sun shade only make up 12% of the industry and they don't have the needed UV properties. This still leaves 100% in need of an aftermarket sun visor. Ever wonder why helmets with internal drop down visors are NOT Snell approved? And they are dangerous when entering tunnels while trying to find the lever to raise the tint. The transferable Helmet Sunblocker fits the bill nicely and everybody loves the 100% UV protection which inferior imitations cannot claim. ​Plus, ​a lot of riders use it in conjunction with their drop-down ​shade, as well, for added sun glare protection. It even works with Pinlock systems. 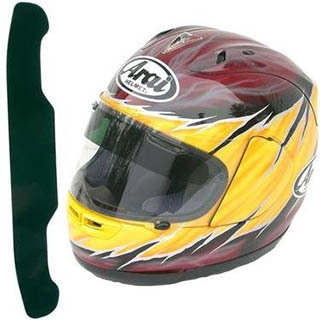 The Helmet Sunblocker is an absolute "must have" for serious riders! It's always there when you need it and never in the way when you don't. This transparent polymer film lets in light, but not the glare. Installs above your line of sight, thus keeping your eyes in the shade, ALL the time. It does not interfere with night vision or riding through tunnels, so there is never a need to remove it. The Helmet Sunblocker stays in place permanently, so it's always there when you need it... The moment you close your visor, your eyes become instantly relaxed. The Helmet Sunblocker casts a shadow over your eyes and face, keeping your face in the shade all the time. And it keeps your helmet much cooler on hot days! No more riding with one hand blocking the sun's glare. No more squinting. No more sunglasses. No more sunburned faces. At the end of the day, your eyes are as relaxed as when you first started. You will appreciate the Helmet Sunblocker every time you put on your helmet. 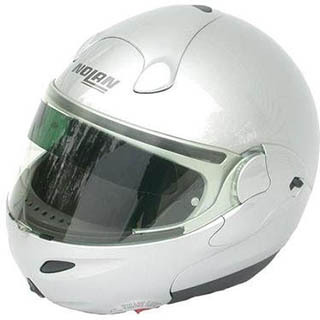 Two versions available, Universal and for Arai. You can choose which one you want below. Installs easily with soapy water, on the INSIDE of faceshield, ABOVE your "line of sight"
Two ways to order - Direct from us or Amazon. Our sales channel on Amazon is Zentra, LLC and is delivered by Amazon Prime to provide fast, secure online ordering. Only $16.95 with FAST Free Shipping! Money back guaranteed if not totally satisfied. Order direct from Helmet Sunblocker with fast, secure online ordering. When you order direct from us, we will include our 2x4 inch 3M Hi-Viz reflective HelmetHead Cycle sticker. $16.95 with FAST Free Shipping!